The Ross Ragland Theater, a renovated 1940’s movie theater, is a year-round, multi-cultural, multi-disciplinary arts center serving South Central Oregon and Northern California. The theater, with near-perfect sight lines and acoustics, provides the perfect venue for a wide array of touring performing artists as well as local productions. Since its opening in 1989, the theater has hosted Grammy Award winners, world-renown classical, jazz and blues musicians, repertory theater tours, opera, drama, comedy, musicals, tribute bands, indie-rock, southern-rock, Christian-rock and alternative-rock bands, acapella groups, acrobats, dancers, children and family shows, and more! 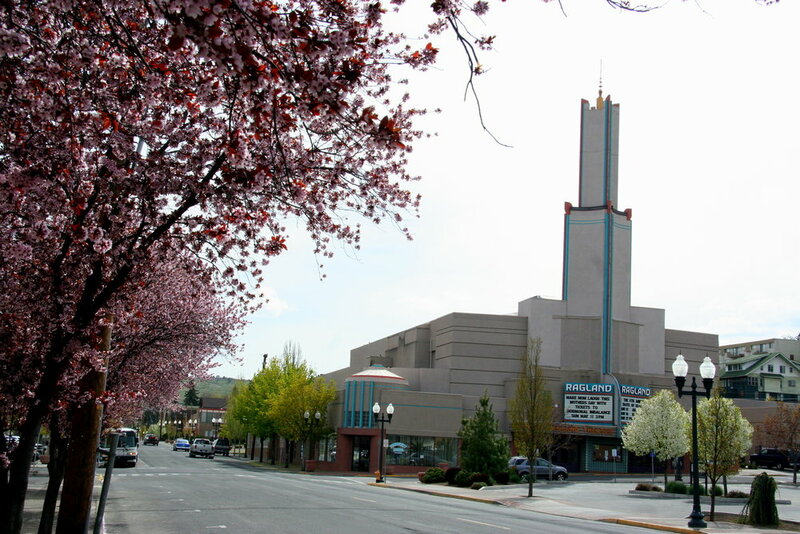 It was a broad-based Klamath Basin community effort that turned the 1940 Art Deco styled Esquire Theater into an 800-seat state-of-the-art performing arts center. The completion of the Ross Ragland Theater heralded the renovation of the Klamath Falls downtown area, encouraged the use of renewable energy by extending the city’s geothermal line and, above all, revived community interest in the performing arts. Today, the Ross Ragland Theater and Cultural Center serves, educates and inspires more than 100,000 people annually. The Ross Ragland Theater is a year-round, multi-cultural, multi-disciplinary arts center serving Southern Oregon and Northern California. The theater, with near-perfect sight lines and acoustics, provides the perfect venue for a wide array of touring performing artists as well as local productions. The theater’s namesake, Ross Ragland, was a prominent local civic leader and champion of the arts. Mr. Ragland, the theater renovation campaign chairman, died in 1987 before the theater’s completion. The project leaders quickly moved to name the theater in honor of his memory and service. Since 1989, the theater has operated as a privately owned not-for-profit corporation with continued support from public and private sources. One of the theater’s most successful programs has been its Outreach and Education program. The program provides curriculum-based cultural experiences to school children in the four-county region. Annually, more than 10,000 children benefit from educational programming at the theater. The Ross Ragland Theater hosts student matinees and workshops with renowned artists, summer arts classes and a teen theater program for underserved youth. Additionally, the Access Program for Low Income Youth and Families ensures equal access to the arts by providing free or reduced tickets and tuition. The Ross Ragland Theater is a regular stop for touring productions and musicians as well as locally produced community theater. Some of the worlds top entertainers have played at the Ross Ragland. Including: Garth Brooks, Blue Oyster Cult, Vicki Lawrence, Merle Haggard, Pat Benatar, Clint Black, Big Bad Voodoo Daddy, Sara Evans, Charlie Daniels Band and many more. Upcoming performances include - Klamath Community Band, The Nutcracker Ballet, Pack Rat Christmas, Golden Dragon Acrobats, and Leann Rymes. To see the full upcoming schedule visit, http://www.rrtheater.org/shows/events. The Ross Ragland Theater is the only performing arts center in the United States using both geothermal for heating and solar energy. 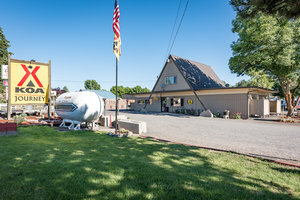 Learn more about the Ross Ragland Theater by visiting in person at 218 North 7th Street, Klamath Falls OR 97601, visiting online at http://www.rrtheater.org or on Facebook or by calling 541-884-LIVE (5483). If you are looking for something indoors to do as Old Man Winter places his grip on the Klamath Basin over the next few months, the Ross Ragland Theater is a great place to go, visit and be entertained on your next Basin Adventure.